As you probably know if you follow me on social networks, I recently acquired the excellent Brigandyne RPG written by James Tornade. I wasn’t really fan of the official character sheet so I started creating mine, and in the old school way please! Entirely drawn by hand. The work was certainly harder than I had planned but very interesting. Many of you have shown a certain interest in this character sheet, and it is with great pleasure that I share it with you today. 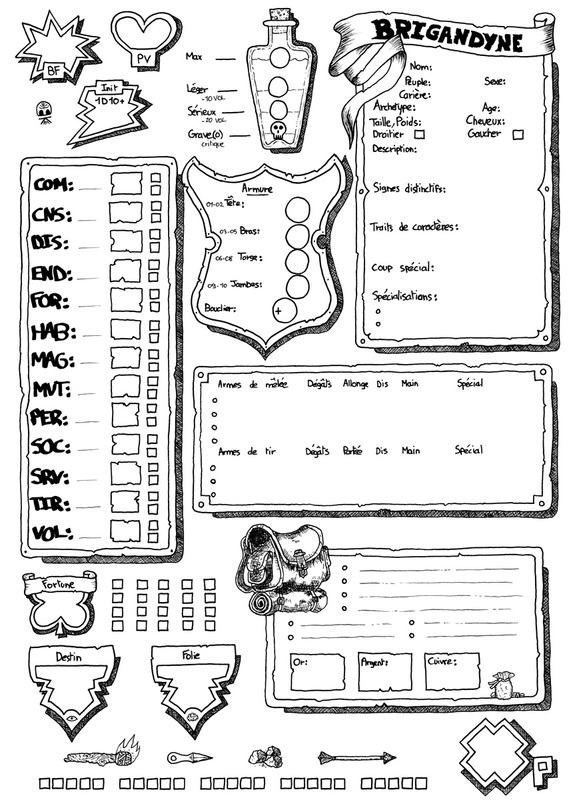 You will find in the PDF file some small house rules that go with this character sheet. For now Brigandyne is only available in French but my malicious elf has tells me gossip, and I can tell you that the author could be interested by some good translator offer.